Today I am sharing a card I made with the stamps from the recent "For the love of stamps" release from Hunkydory. One of the items in the release was a magazine with a stamp set. 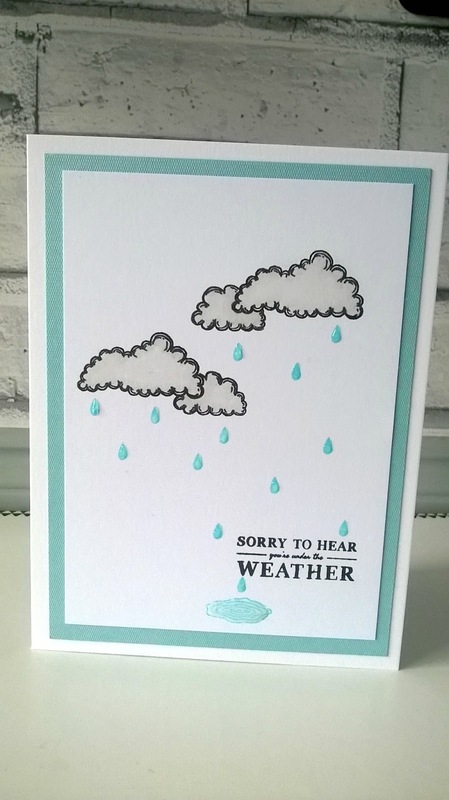 I loved the stamps and wanted to make something a little bit different so decided on a card for a poorly friend. 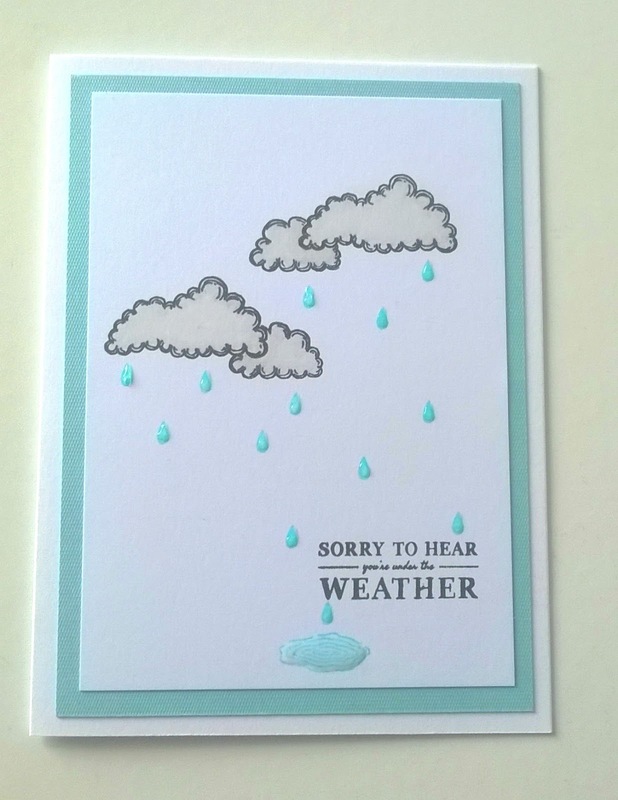 I started by stamping the sentiment in the lower right side in black ink and the stamped some clouds. I coloured the clouds grey with a Promarker pen. I then stamped some rain drops and a puddle in blue ink and added Glossy accents on top to give dimension. 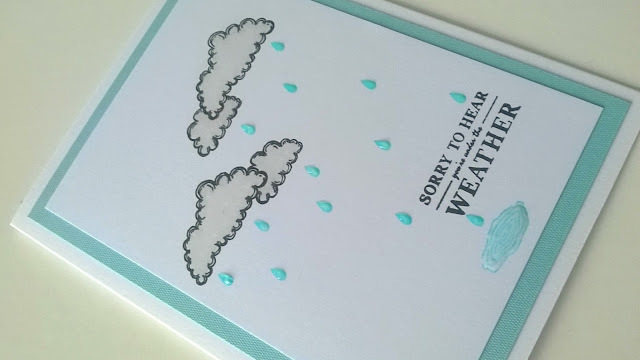 I love how the glossy accents give a wet look to the rain drops and the feel of the raised sections also give a tactile element to the card. I mated the main image on to a shimmery blue card stock and then onto a 5x7 card blank. I have a few more ideas for the stamp set and will share them with you in the near future.